Hi there! It's been a while since I've done one of these, huh? Sorry for my extended absence, but Christmas chaos got the best of me! If you follow my facebook page, you might have seen that I had a bit of an unexpected surprise when my tutorial at U-Create won 1st place for the 2011 awards. Such an honor! Not only that, but I won a Silhouette Cameo machine!! I'm already imagining all of the beautiful things I can make with it. Have you seen anything exceptionally cool done with the Silhouette done around bloggyland? If so send me some links! I'm excited to try out some fun projects. And with that, here's my latest project. Simple, and no sewing machine required. Sounds good to me. Especially since my sewing machine has apparently gone on strike and refuses to stitch with proper tension. 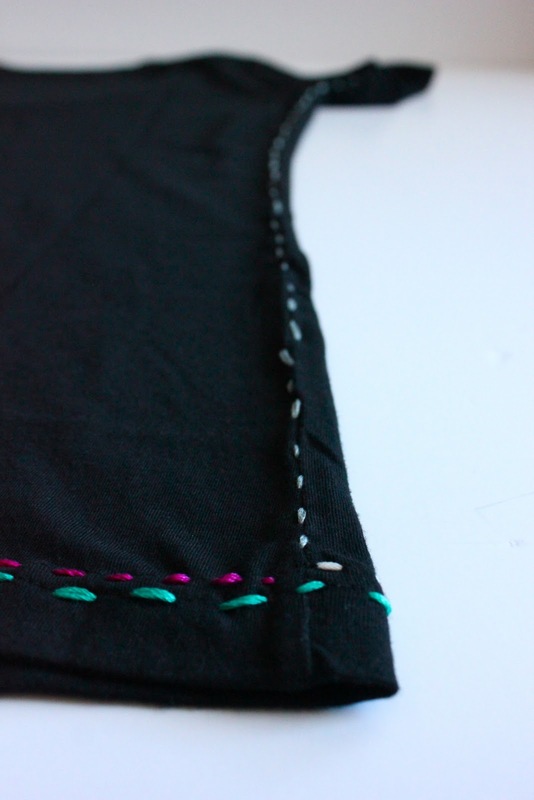 My seams are falling apart right after I sew them. So frustrating! 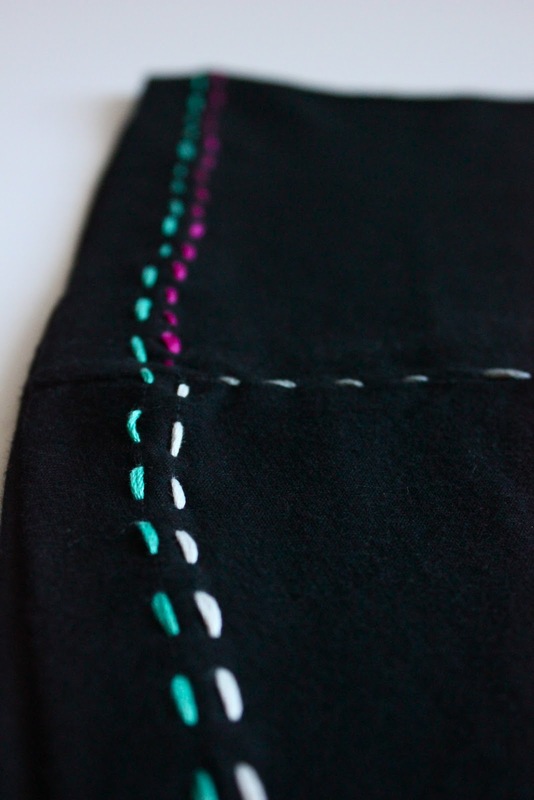 Use the machine stitched hem as a guide to keep your stitching straight. ...and add as many details as you like. I was afraid of over-doing it, but found that every new addition added a pretty, new interest. Or totally diregard my tutorial and do it your way! One little snip fixes any mistakes you might make. Aw, the embroidery adds such a cute little detail!! And that's so exciting about your Silhouette. I got the new one for Christmas, I have still yet to break it out of the box though, tis a busy season!! Would you mind sharing where you got the font on the word "Embroidered"? I just got a Silhouette too, so I'll be stalking your comment section for links! Congratulations on your win! I love how some of the simplest crafts are the most amazing. Great job! So cute! I want to see it onnnn! lol. I got a plain black long sleeve maternity T from Target the other day (this is more impressive than it sounds, as I'm from Canada and was doing my annual trip-to-the-states-which-includes-target lol) and this might look suuuuuuper cute on it! Oooh, and for my daughter as well, what a sweet way to dress up a plain T.
Such a cute idea! I never would have thought to do that, but it worked just perfectly. I may even do this for a shirt for my niece. OMG, it's such a cute way of spiffing a tee up!! Such a cute idea! I certainly not would have believed to make an make an effort to do that, however it worked just perfectly. I may possibly even do this for just about any shirt for my niece. I can assure you in which DubTurbo is very newbie friendly. It does not matter in case your inside the beginning stages When getting started out or if you were creating your own personal beats professionally It is very quick to use and you can tell it is often made to fit equally advanced and beginner. I'm no expert yet I've used additional defeat makers which has to be the simplest to utilize. tee shirt with colorful skirt and stylish accessories gives smart look on your personality! 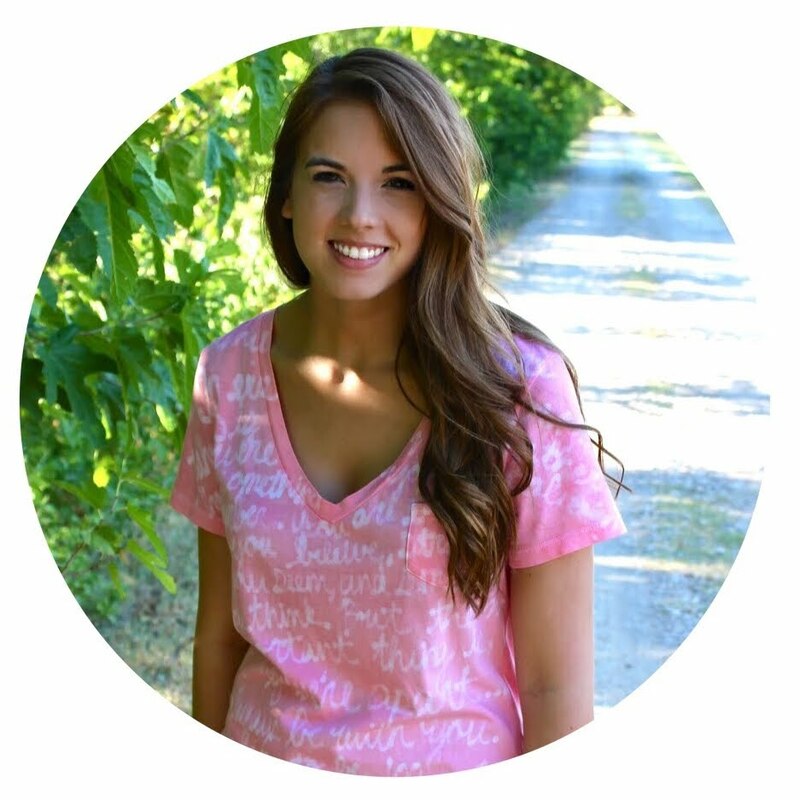 Thanks for share this valuable post about Embroidered Tee Shirt. I really appreciate your fantastic work because I really love this types of T-shirts. Fun idea! I have so much of this thread and I've never come up with anything to use it on. I might be doing this soon. Great! The embroidery looks fantastic on Tee Shirt...thanks for sharing very nice idea..
Fabulous embroidery on shirt! i really like it:) its really looking cool to wear awesome color tee shirts when going for party! OMG..... 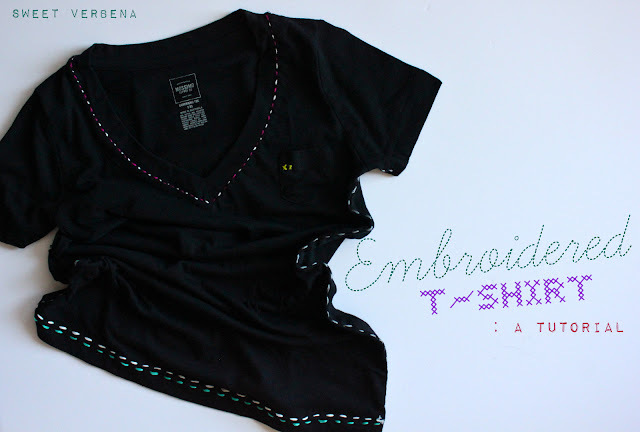 Thanks for sharing information unique information about the Embroidered Tee Shirt a tutorial. Very informative article it is totally worth it for reading. I really appreciate your writing & describing skill. Now 3d puff digitizing in cheap cost is possible with professionalism. It is very useful tutorial of embroidery, tee shirts, People must get some new tips for designs. Keep giving updates.